Hong Kong Mixed Doubles Lee Chun Hei/Chau Hoi Wah was eliminated in straight games by Kim Won Ho/Shin Seung Chan of Korea in the first round of YONEX-SUNRISE Hong Kong Open Badminton Championships. 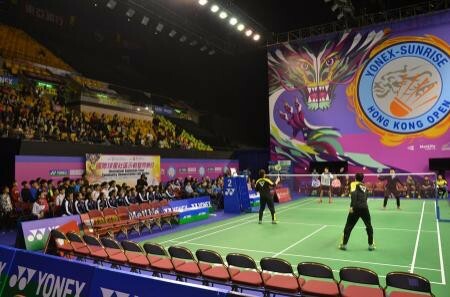 YONEX-SUNRISE Hong Kong Open Badminton Championships has started today (21 Nov) at the Hong Kong Coliseum. 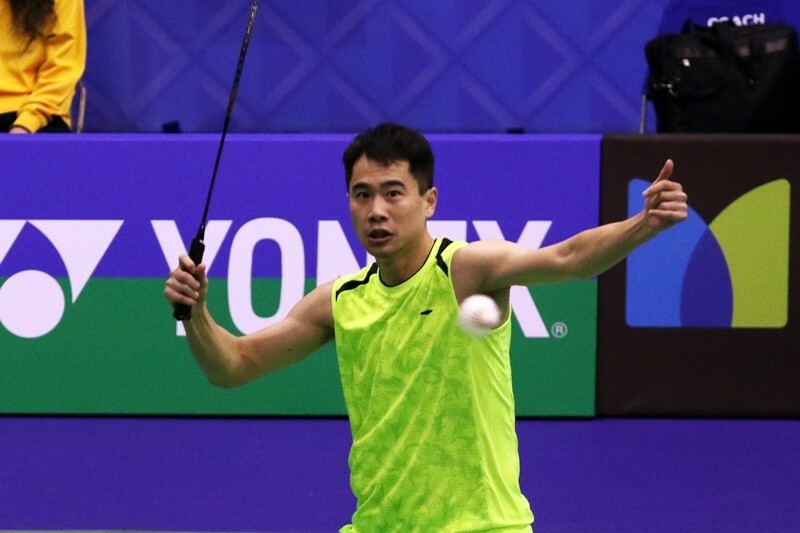 7 Hong Kong players have been promoted to the main draw, including the 33-year-old veteran Wei Nan who has a huge comeback beating the Thai opponent who is 14 years younger after 2 qualifying rounds. 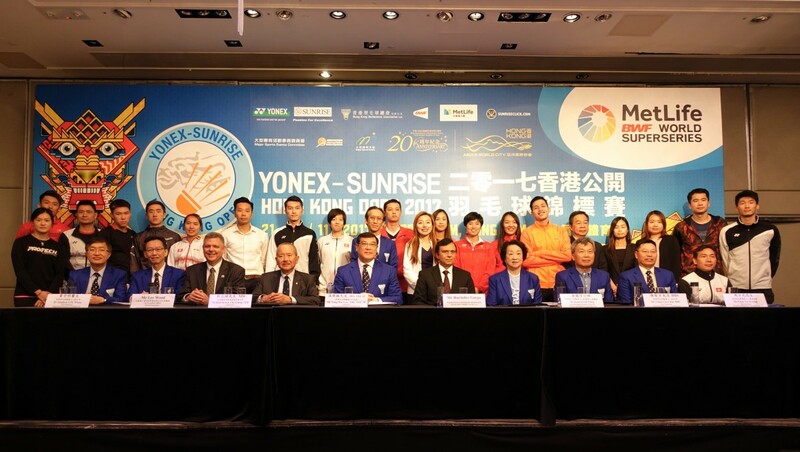 YONEX-SUNRISE Hong Kong Open Badminton Championships started on Tuesday. All top players have arrived in Hong Kong for this annual badminton event. Before the competition, players attended the welcome dinner with a local entertainer’s performance and a gourmet buffet. "M" mark event YONEX-SUNRISE Hong Kong Open Badminton Championships 2017 will commence tomorrow. Top players around the world including: Denmark No. 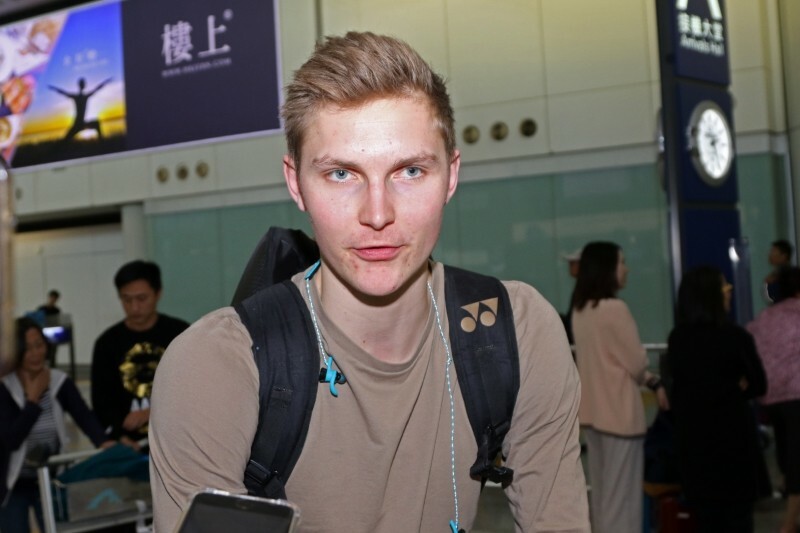 1 player Viktor Alexson, Lin Dan and Chen Long of China and Tai Tzu Ying of Chinese Taipei arrived (20th November) in Hong Kong to prepare for this six-day tournament. After 2 years of anxiety and frustration, Hong Kong player Wong Kong Ki finally got out of his low ebb and reached world ranking No. 11. He is looking forward to his best performance this week in YONEX-SUNRISE Hong Kong Open Badminton Championships 2017. 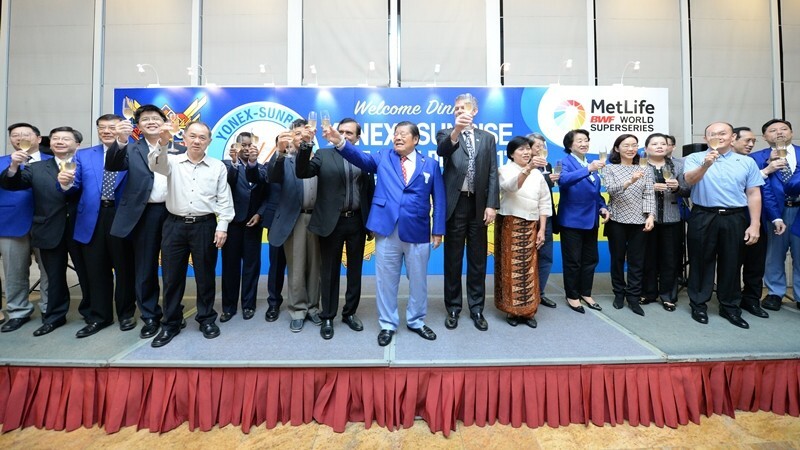 World Number One Rankers Participate in YONEX-SUNRISE Hong Kong Open Badminton Championships! Tickets will be on Sale Tomorrow (3rd November)! Hong Kong Badminton Team who swept 1 gold and 3 bronze medals in last year’s event, are going to retain their tremendous achievement against the world number one rankers in YONEX-SUNRISE Hong Kong Open Badminton Championships 2017. This year’s tournament are filled with star-studded players including world No.1 Viktor Axelson, Tai Tzu Ying and Hong Kong fan’s favorite Lin Dan, Lee Chong Wei. Tickets will be on sale at URBTIX outlets and website from tomorrow (3rd November, 2017), price from HK$40 to HK$680 with 10% discount for students and senior citizens! 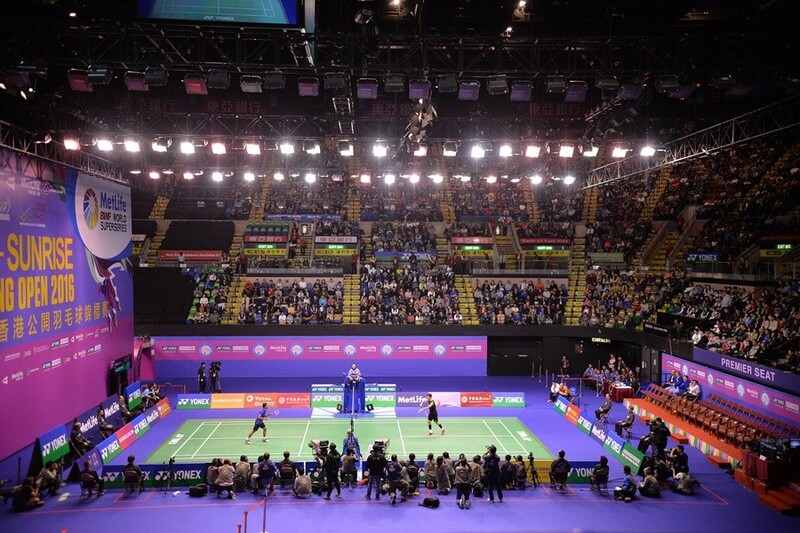 The annual Hong Kong Badminton Mega Event - YONEX-SUNRISE Hong Kong Badminton Championships 2016, part of the MetLife BWF World Superseries has been rounded up successfully on 27th November. 20 thousands of fans gathered at this spectacular badminton competition which contain 260 players from 22 countries and districts. Hong Kong Team has obtained 1 gold and 3 bronze medals, the best ever record in this event. Organizer is grateful about the support from sponsors and all the fans! From losing the Olympic qualification in the first half of the year to entering semi-finals and snatching 2 bronze medals at BWF World Superseries, 2016 was like a roller coaster ride for Hong Kong Badminton player Cheung Ngan Yi. All athletes have been through the bottle neck of their career. Heaven and hell is only within a flash of thought. The young player chose not to give up when facing difficulties and finally broke out from her cocoon after walking through peaks and valleys. YONEX-SUNRISE Hong Kong Open Badminton Championships 2016 has been successfully held last month. Besides Hong Kong team’s historical good results, Hong Kong Badminton Association Limited also organized the ‘International Star Players Community Demonstration and Fun Day’ under BOCHK’s sponsorship, to let the star players have a chance to mix with the local students of secondary and primary school through badminton.